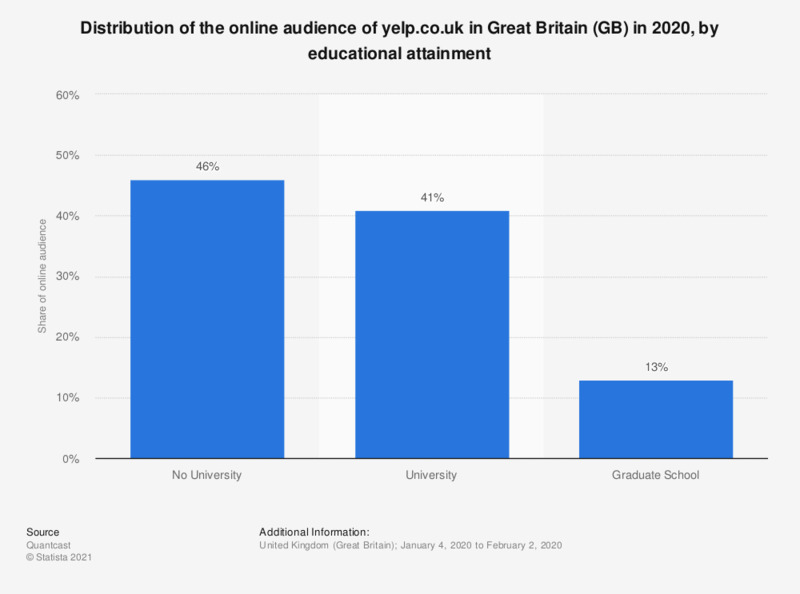 This statistic displays the distribution of the online audience of yelp.co.uk in Great Britain (GB) in 2018, by educational attainment. In 2018, 41 percent of the online audience of yelp.co.uk were university graduates. For which of the following activities do you use Yelp when looking for locations for a purchase?